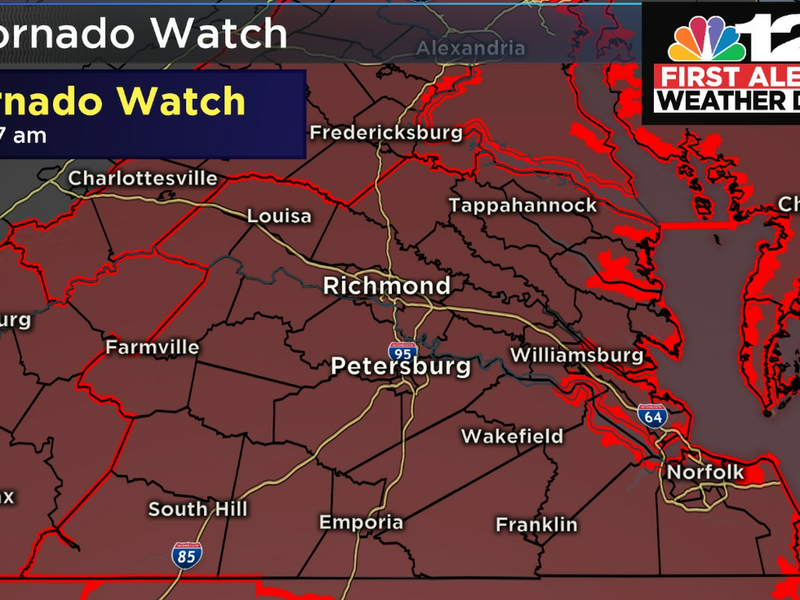 RICHMOND, VA (WWBT) - First Alert Weather Days for Sunday and Monday due to wind and bitterly COLD temperatures. A surge of arctic air will plunge eastward across the region late morning Sunday late through the day courtesy of a northwest wind behind the system that brought us rain early Sunday. Strong NW winds will pick up by late morning Sunday into the afternoon at 15-25mph with gusts to 35-40mph. 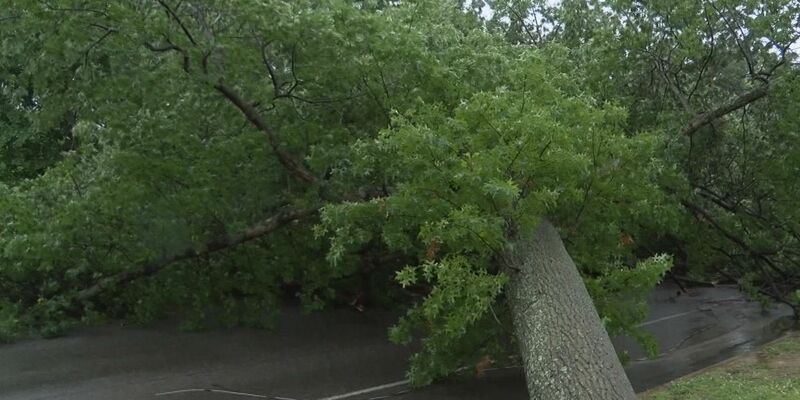 The strongest winds will be in eastern VA. A Wind Advisory is in effect for Northumberland, Lancaster, Middlesex, and Gloucester counties from 11 a.m. until 7 p.m. for winds which could gust up to 50 m.p.h. Sunday night into Monday will be bitterly cold. Monday morning low temperatures will be in the teens with wind chill values in the single digits. A Wind Chill Advisory will go into effect for counties in blue starting midnight through Monday morning. While the arctic air should dry jut about everything out Sunday, a few slick spots and an icy coating in spots will be possible. Everyone across central VA will have wind chill values in the single digits so dress in layers if you have to be outdoors. Don’t forget about your pets! Keep your heavy coat handy Monday afternoon as well -- high temperatures only top out in the upper 20s despite a great deal of sunshine! Megan Wise is an Emmy-award winning meteorologist for NBC12.